In celebration of National Volunteer Month, we will be focusing our blog posts on recognizing our incredible volunteers that make everything we do here at PTMSC possible. This week, we would like to recognize one of our wonderful docents, Denis Keyes! Denis began volunteering as a docent in our aquarium in 2012, and since then has volunteered just under 1800 hours. Currently, he works as a docent in our museum building. Denis during his shift as a museum docent. Staff photo. 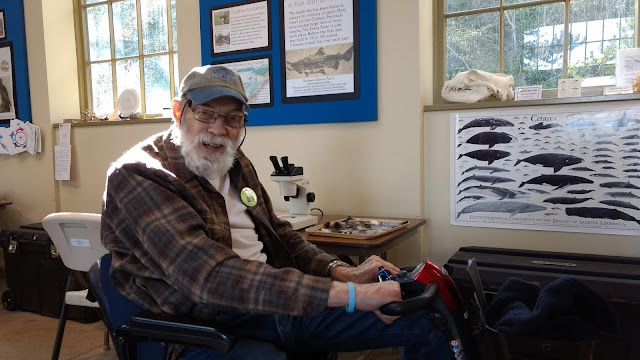 When asked what he enjoys most about volunteering at Port Townsend Marine Science Center, Denis replied that he loves working with kids and being able to share with them the wonders of the Salish Sea. 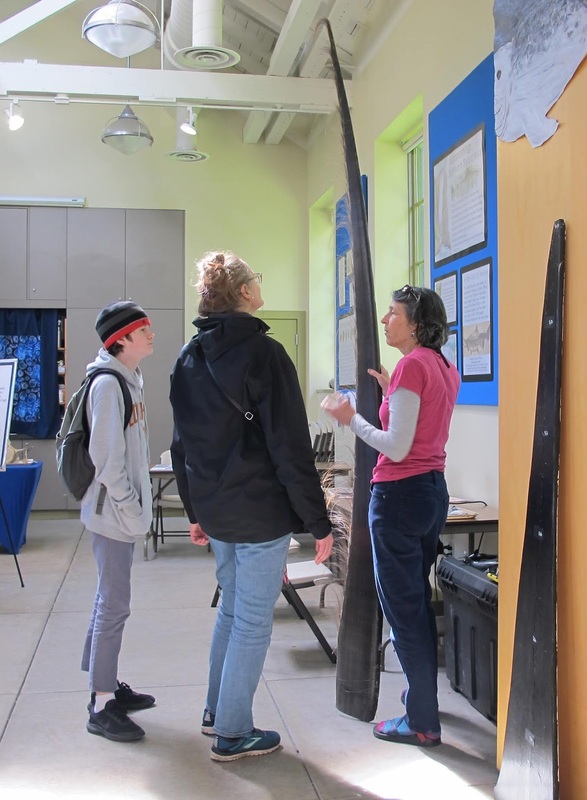 He also enjoys the opportunity to share his passion for the southern resident killer whales and spread awareness about the threats they currently face. Working with Denis is nothing but a treat. He’s helpful, loves to tell jokes, and can tell you some fascinating stories from when he was a diver. Plus, he makes a delicious blueberry pie! If you ever get the chance to see Denis in action as a docent, you will see that he is passionate, kind, and incredibly knowledgeable. We are very lucky to have him!